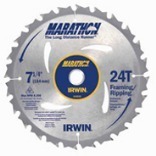 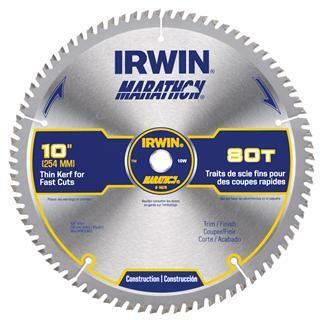 MARATHON MITER & TABLE SAW BLADE 400 grit diamond ground teeth for smooth finish Alternate top bevel grind Precision tensioned and balanced for true cut Construction grade carbide teeth for longer life Thin kerf for fast cuts Carded 14076 10 IN. 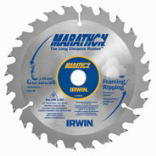 80T MARATHON BLADES SIZE/DESC:10"/80T ARBOR:5/8"
PORTABLE CONSTRUCTION SAW BLADES All-purpose for wood-plywood-wood composites Tough tungsten carbide-tipped blades Stays sharper longer Ribbed heat vents keep blade cooler Thin kerf for smoother cutting Alternate top bevel tooth grind Carded unless noted Arbor: 5/8 round with diamond knockout DW3176 7-1/4 36T CARBIDE BLADE SIZE/DESC:7-1/4"/36T HOOK ANGLE:Pos 15 deg. 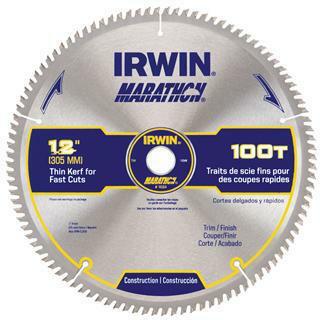 MARATHON MITER & TABLE SAW BLADE 400 grit diamond ground teeth for smooth finish Alternate top bevel grind Precision tensioned and balanced for true cut Construction grade carbide teeth for longer life Thin kerf for fast cuts Carded 14084 12 IN. 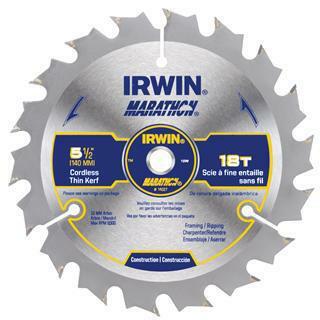 100T MARATHON BLADE SIZE/DESC:12"/100T ARBOR:1"
5-3/8" CORDLESS SAW BLADE COMBO PACK 3 pack of blades on one card One each of DW9052 for aluminum cutting One each of DW9053 for thin material cutting One each of DW9055 for fast wood cutting For cordless saw DW9059C5 5-3/8 COMBO PK BLADES SIZE:5-3/8"
SPRINT CIRCULAR SAW BLADE All-purpose blade for ripping & crosscut Small number of teeth for fast cutting Ideal blade for house framing Square top tooth grind 15070 10 IN. 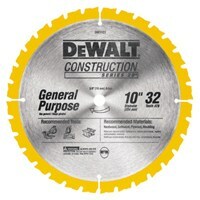 24T CIRC SAW BLADE SIZE/DESC:10"/24T ARBOR:5/8" Rd. 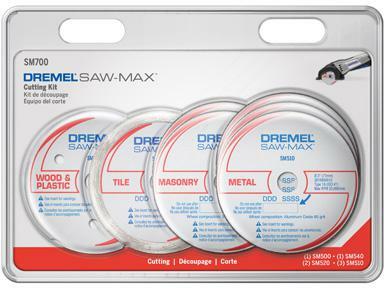 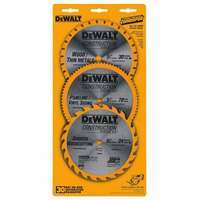 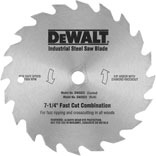 DAREDEVIL(TM) TABLE/MITER SAW BLADES Thin-kerf design blades for table & miter saws Extra-hard steel plate with expansion slots Bosch triple-sharp C4 Hi-ATB carbide teeth Speed Coat(TM) blade finish means less friction Control cut shoulders reduce kickback For soft & hard wood & other building materials DCB1060 10 IN. 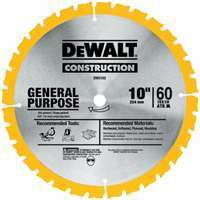 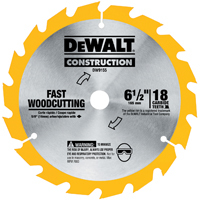 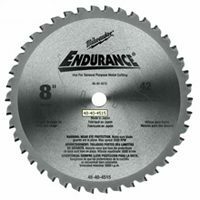 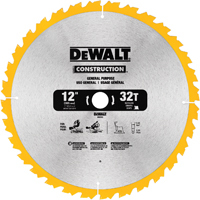 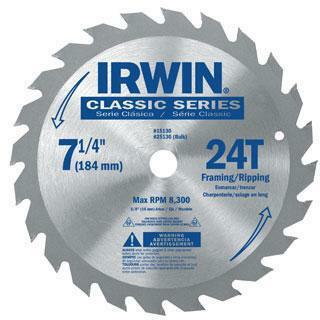 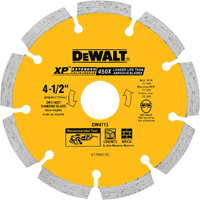 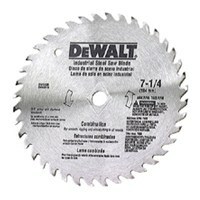 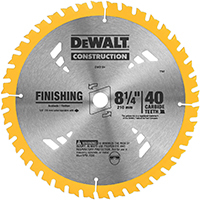 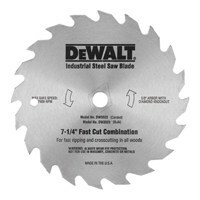 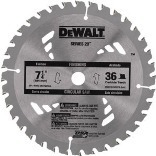 60T SAW BLADE SIZE:10" 60 Tooth ARBOR:5/8"
SPRINT TRIM AND FINISH BLADE General purpose use Use for crosscutting & trimming all woods Also use on paneling, plywood & chipboard Alternate top bevel grind Carded 15230 7-1/4 40T ATC SAW BLADE SIZE/DESC:7-1/4"/40T ARBOR:5/8" Univ.